Nitro: Slingshot named this board “Nitro” for a reason: it’s fast… very fast. With a sleek and piercing bow, low-profile body, V-Tunnel bottom and lightweight construction, the Nitro exemplifies the balance between comfort and efficiency as it glides through the water with ease. 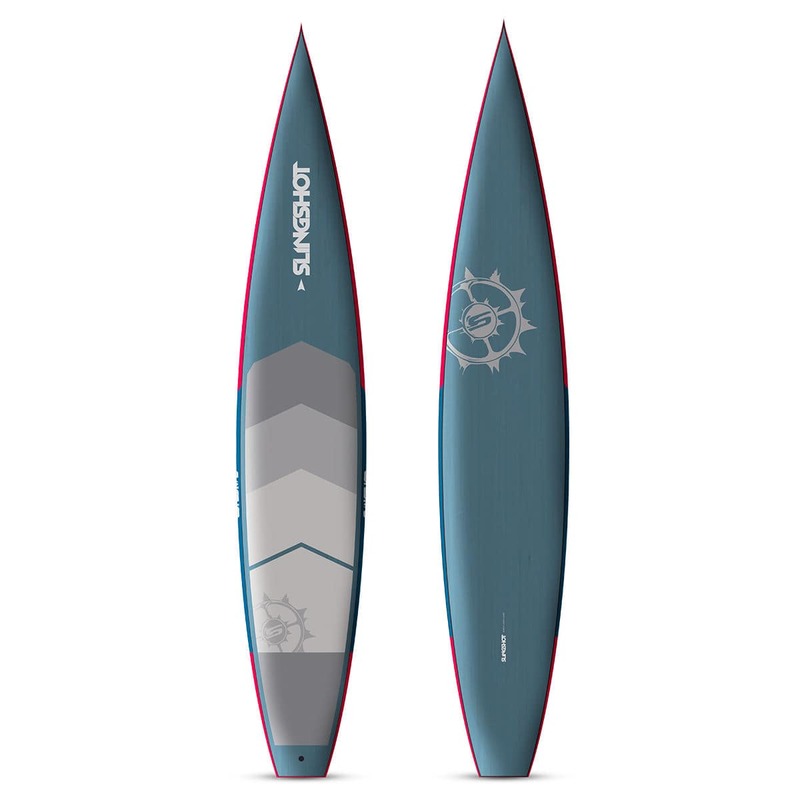 This is an ideal board for racers, distance paddlers and those looking for a fast, smooth ride in mixed conditions. Utilizing Slingshot’s exclusive Future Response Technology, the Nitro’s Carbon Wood Veneer Sandwich Construction (CWVS) creates a strong, impact resistant board without adding extra weight. Its low-profile, hydrodynamic design makes it extremely fast, while its 263.7 liter hull provides enough stability for a smooth ride, even in rough water. Board includes: High performance 11” race fin.